On 12th March I officially became a parkrun Run Director! 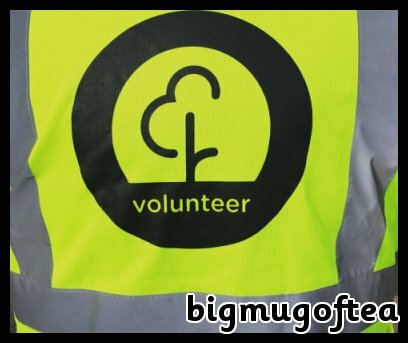 I’ve spoken about my time volunteering at my local parkrun before here but now I wanted to talk about what it takes to become a run director. It all started when a run director let us down and I and some other marshalls had to leap in to action. During the craziness that was that Saturday morning someone uttered the words “You should become a run director” and the idea stuck! Before I continue I have to say I had amazing support from the Event Director who has walked me through the process of becoming a run director step by step for which I am really greatful. The first thing I needed to do was ensure I had volunteered in all of the roles available. This is so you know how everything works so you’re experienced should anything go wrong when you’re directing. This meant overcoming my biggest fear, being timekeeper! I was always so worried I would be responsible for ruining someone’s PB by pressing the wrong button on the stopwatch! In actual fact there are two people doing the role and it wasn’t anything like I’d made it out to be in my head. There was also information that I needed to read such as the event charter and safeguarding procedures. Over the space of about 5 weeks I had completed all of my roles and shadowed a run director when they were doing the role and then it was time to give it a whirl myself. It went smoothly and there were no real hiccups but what they don’t prepare you for is giving the run directors brief at the start of the run! Oh lordy, climbing up on the ladder in front of over 300 runners and the other volunteers! My legs were like jelly but I read through the brief, making more eye contact with the clipboard in my hand than the many people in front of me and before I knew it, it was over and the runners were on their way! After the run when all the runners have disappeared and the equipment is packed away there is more work for the run director. You have to upload all of the information from the barcode scanners and the stop watches as well as add in the numbers of people who couldn’t have their barcodes scanned then it was time to add it all on to the parkrun server and send out the thank you emails to volunteers. I really enjoyed being a run director and can’t wait for my next time so remember if you want to register at parkrun and give it a go then visit the parkrun website, print off your barcode and lace up your trainers!